As a devoted daughter, taking care of an aging parent provides a wealth of rewards. However, if you don’t make a point of taking care of yourself, you may experience burnout. Here are a few strategies that ensure daughters stay emotionally, mentally, and physically healthy while caring for a mother or father. For caregivers to have sufficient energy and health to perform daily tasks, the body needs an adequate amount of appropriate fuel. Fast foods and snacks may stave off hunger. However, they’re filled with empty calories and lack nutrition. By adopting a healthier diet, you’re less likely to fall ill. Start making dietary changes by adding more lean meats, fruits, vegetables, and whole grains. Caring for a senior loved one can be challenging for families who don’t have expertise or professional training in home care, but this challenge doesn’t have to be faced alone. 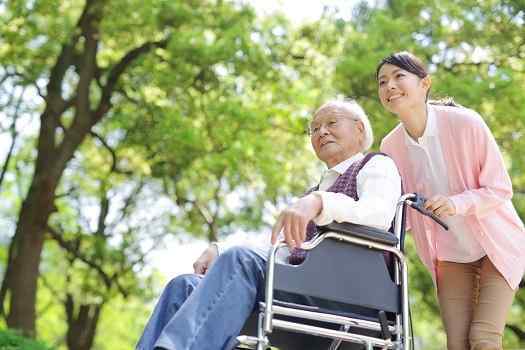 Family caregivers can turn to Green Valley Home Care Assistance for the help they need. We provide high-quality live-in and respite care as well as comprehensive Alzheimer’s, dementia, stroke, and Parkinson’s care. An adequate amount of restful sleep is vital for all aspects of health. Without enough sleep, you’re more likely to feel stressed and become easily fatigued. If you’re having difficulty unwinding in the evening, consider engaging in relaxing activities to prepare the body for sleep. An occasional short power nap during the day can keep the body going until bedtime. Regular workouts keep muscles and bones strong while boosting cardiovascular health. Caregivers often find that when they make a point of exercising regularly, they have more energy. Putting the body through some type of moderate activity is a good way to alleviate stress. During a workout, the body releases endorphins, which minimize pain and elevate mood. Caregivers must have contact with the outside world. Other family members or friends provide a buffer from stress. They may lend a listening ear or a shoulder to cry on when you want to vent. By communicating with others, you can gain a different perspective when solving caregiving-related issues. Maintaining relationships also provides the chance to escape caregiving duties by diverting the attention toward other life topics. Family caregivers must early on establish a support system. You can’t expect to be able to provide care 24/7 without having the chance to take time off. You may need to run errands, you might fall ill, or you may desire a weekend getaway. Someone needs to step in during these times and assume the role of caregiver. A reliable backup plan enables you to take the time away you need without having to worry about not being present for your loved one. Family caregivers sometimes need a break from their caregiving responsibilities. When they need respite care, Green Valley families can rely on professional caregivers to help their senior loved ones remain safe at home. Daughters must make time for themselves to relax and rejuvenate. The time might be spent enjoying a hobby, taking a class, or indulging in a few hours of pampering. Spend an afternoon shopping with friends or go out for dinner and a movie. Personal time also enables you to clear your mind and focus on your own health and wellbeing. Time away from daily duties may also provide the chance to discover solutions to challenging situations. If you’re finding it difficult to manage your caregiving duties, consider hiring a professional caregiver. Although it may be challenging to find reliable, highly rated elder care, Green Valley, Arizona, families can turn to Home Care Assistance. Our respite and live-in caregivers are expertly trained to assist seniors with a wide array of important tasks, including cooking, bathing, light housekeeping, and exercise. Call us at 520-625-2050 to schedule a free in-home consultation.